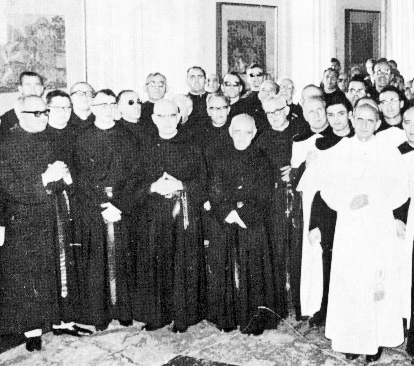 Amongst the documents that emerged from the Council’s debates, the Decree Perfectae Caritatis, approved by the Council itself, and the later Instruction Renovationis Causam set out the way forward for the consecrated life, emphasizing the original values of each charism and each religious family. The post-conciliar renewal of the Constitutions of the Order of Augustinian Recollects is a good indication of this process. 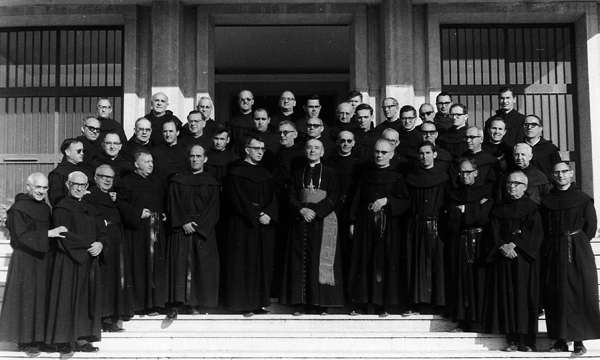 The Order was living somewhat disconnected from its early history; for this reason, the special General Chapter of 1968, celebrated in Rome, faced up to the enormous task of laying out the original foundations of the charism – in particular, St Augustine and the Forma de Vivir – incorporating them into the Constitutions. The exclusively juridical character of the former Constitutions was replaced by legislation based on the charismatic elements. A new stage of life was underway. All of this brought with it an attempt to live the consecrated life according to the Gospel and our foundational charism. It was also essential to deal with the changes demanded by the rapid evolution of society. In order to prepare the religious for all this, means of formation such as courses of renewal, chapters of renewal, formation weeks, etc. were arranged.